Much of what passes for intelligent business commentary in the US is thinly-masked prosperity gospel. The recent discussion the the mobile software disaster is rife with implicit prosperity gospel mongering. Prosperity Gospel business reporting holds that, when a product succeeds, it succeeds because the CEO or the product manager is brilliant and wonderful, a romantic hero like Steve Jobs. When a product fails, its failure stems from the shortsightedness and shortcomings of the foolish and ill-behaved management. Just like Steve Jobs, back in the day, was the dirty hippy who nearly ruined Apple. That was before he saved Apple. If you win twenty in the show, you can let the fungus grow back and the press'll think you're colorful. Until you win twenty in the show, however, it means you are a slob. Sure, you can point to shortcomings in all sorts of products. You can point to shortcomings in products that make lots of money, too. You think UI design is important? I have two words for you: MS-DOS. You think documentation is important? Show me the manual for Finder. You think products have to be intuitive? Tell that to your second grader: people spend years learning to use books, but we’ve found books pretty useful anyway. Think market dominance is the key to everything? Show me a book in the last four centuries that had a majority share of the book market. If you think all the failures in mobile software arise from the shortcomings of the products and/or their creators, then you think that you can look into the seeds of time and say which grain will grow and which will not. You think, in short, that you can recognize tyne Visible Elect, the Lord’s Chosen Remnant. A bunch of business reporters do think this – or they act as if they did. After all, it is difficult to get a man to understand something, when his salary depends on his not understanding. What he means is, who among us lives by creating and selling iOS software? Lots of people have jobs building software that other people commission, either as employees or consultants; they get paid every month and it's up to someone else to figure out whether their work is profitable. But who is making a living, or a fortune, from writing iOS software on their own ticket? It turns out, just about nobody is. It turns out, products we thought were really successful – products that took years to design and build, that are well crafted and well polished and lavishly reviewed – are bringing in a few hundred dollars a month, and less than $50K over the life of the product. A game developer reports sales of several hundred dollars, total, for several apps that seem pretty attractive. In fact, not only is no one making a living from building mobile software: almost nobody is even scraping by. One answer, from Faruk Ateş, is that we are none of us worthy; if developers aren’t making lots of money, it’s because they’re just not good enough. This is the programmer as abused child, it’s the flip side of Prosperity Gospel, and it’s pernicious nonsense. We software creators woke up one day to find ourselves living in the software factory. The floor is hard, from time to time it gets very cold at night, and they say the factory is going to close and move somewhere else. We are unhappy with our modern computing and alienated from our work, we experience constant, inexorable guilt. Yes: beautiful design and brilliant labels and clever marketing are handy, but c’mon: our ancestors did amazing things with machines that had horrible UI. Ever seen the user interface of a locomotive? 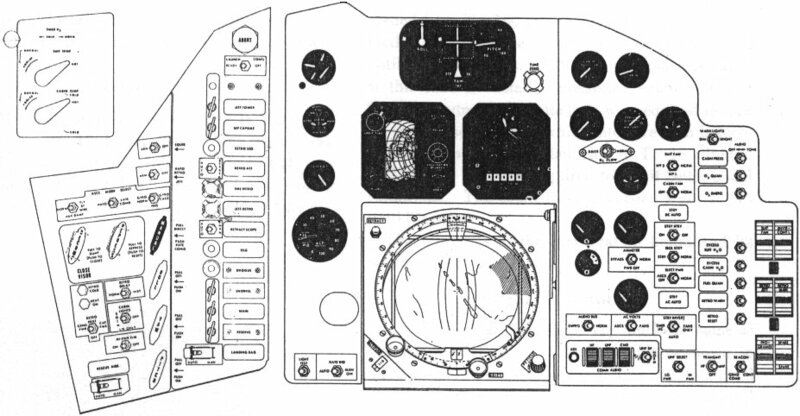 Go take a look at the control panel of a Project Mercury space capsule, or a WW2 submarine, or a top-of-the-line radio from the 1930’s. Think for a minute about the editing tools that Raymond Chandler used. Think about John Donne’s pens. It’s clear that mobile apps have the ability to make people smile, to make people think, to make people get more stuff done., to let people do things they couldn’t do without them. Making software is productive: it creates value for lots of people. We need to be able to capture some of that value, or people will stop making software. I’m glad to report that things aren’t quite so miserable in the desktop world. Hardly anyone is doing great – we’re in the midst of the Great Recession here – but a bunch of us are somewhere between “scraping by” and “I can’t complain.” I’d thought things were far rosier on the mobile side of the fence. Looks like I was mistaken. If we want to have good software in the post-PC world, someone had better figure this out. As the 1890’s draw to a close, many immigrants leave Eastern Europe and the Western Asia and land at Ellis Island. One of these happens to be a golem, masterfully constructed by a Polish hermit to serve as the wife of a furniture heir who wants to emigrate and who can’t manage to find a wife in the usual way. 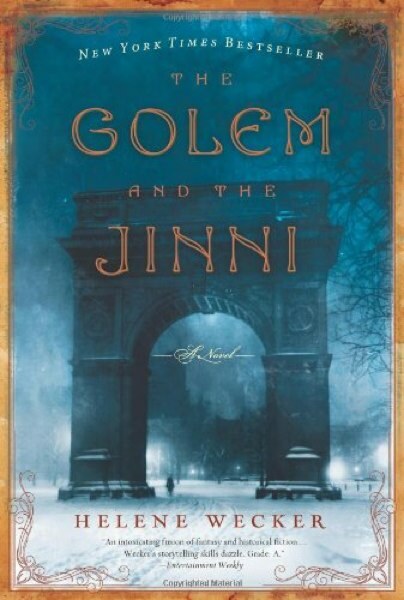 When the fellow dies at sea, the golem is left adrift; at Ellis Island, she is three days old. Meanwhile, a nice Syrian woman runs a coffee house in the lower East Side. As a parting gift, her mother gave her an old but well-made copper oil flask. It’s dented and worn, and she sends it to the local tinsmith for repairs. As is often the case in such matters, there was a stowaway in the flask. This sets the stage for a nice sentimental romance of Old New York. It might be a bit too long –it’s a long novel and it might have been just as effective as a short story – but it’s very pleasant indeed. Thanks Derek Van Ittersum! 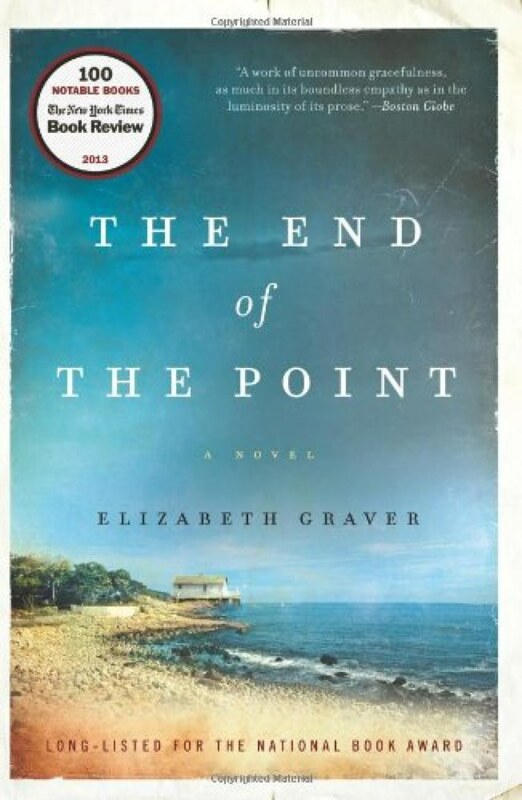 A biography of a vacation house on the Massachusetts south shore, long on sense of place and short of incident. Many details are precisely observed, right down to birdwatching with great-grandmother’s Peterson’s in hand, but they're so subtly rendered and so peripheral that I wonder whether people who haven’t been there will notice them. This is a f'-up on Putin's part of almost mind-boggling proportions. Yes, a tragedy. Yes, perhaps an atrocity. But almost more threatening, a screw up. Malign intent is one thing. So is aggression. But goofs of this magnitude by someone who controls a massive military arsenal and nuclear weapons are in a way more threatening. Meanwhile, the Gallup Poll thinks Mike Huckabee and Rand Paul are the front-runners for the Republican nomination, with Rick Perry and Ted Cruz close behind. Imagine a world where Huckabee and Putin control vast nuclear arsenals and together face the real onset of planetary climate catastrophe. A surprisingly good movie, the Australian Tomorrow, When The War Began takes on John Marsden’s intriguing dystopian YA novel. It’s an Australian Red Dawn: I rather like some aspects of John Milius’s original movie, but this is a far better story in every way. I’d not heard of Marsden, despite my affection for The Hunger Games and Divergent. In the US, fantasies about invading hordes are not uncommon, but they’re held by unthinking far-right people who are also crazy. The last time the US worried about a foreign invasion was 1814, unless you’re inclined to count July 3, 1863. Either way, no one was that worried. But I do know Australians – educated, professional, liberal-minded Australians – who do worry about the real possibility of invasion in the medium-term future. And from the perspective of Australia, 1942 was an uncomfortably near-run thing. Where Red Dawn tends merely to be jingo, Tomorrow, When The War Began lets its characters think and feel. It’s got a pacifist. It does load the dice against her, but it doesn’t cheat. As is often the case in Australian adventure films, the gender politics are smart and seemingly effortless. Terrific, wicked, and very concise, Muriel Spark’s novel stands up well to the memory of Maggie Smith’s wonderful film and ranks among of the great school stories. These were the days that Mary Macgregor, on looking back, found to be the happiest in her life. Interesting weblog post from BC on Arguing, Plotting, and Making Hypertext. Some additional reading: for Rashomon as a hypertext structure, see Moulthrop’s early work on hyperbaton and robotic hypertext and see my paper on Patterns of Hypertext. I like BC’s notion of the inaccessible story; the best example of this remains, I think, Moulthrop’s Victory Garden. Sebald seems directly relevant as well. For plot, story, and the reader’s control, see Landow’s Hypertext and my On Hypertext Narrative; I think we now understand that readers play a huge role in bringing meaning to any text but that the this role is not unbounded. Plot Without Conflict. Liz Duffy Adams, F. Brett Cox (leader), Samuel Delany, Eileen Gunn, Shira Lipkin, Anil Menon. In Western writing, conflct is considered essential to plot. The classic three- and five-act structures taught in writing courses and workshops revolve around a central conflict. But does plot require conflict? The Japanese kishōtenketsu structure is built on four acts: introduction, development, twist, and reconciliation—best known to Western readers as the structure of four-panel manga. Deep and rich stories are told within this structure, which, by comparison, shows the three-act structure to be fundamentally confrontational. What can writers steeped in Western notions of plot conflict learn from a careful analysis of alternate structures? This, too, seems directly pertinent. (I missed the session – it was scheduled opposite a panel on the Great War and the roots of fantastika and one can’t be everywhere, but I’d love to hear Delaney and Gunn (!) on story structure. In the panel on “Emotion, Archives, Interactive Fiction, and Linked Data,” I asked Leah Bobet to don her editor hat (she’s also an accomplished writer and a passionate bookseller) and to reflect on what differentiates a rich hypertextual archive from a shaggy dog manuscript, a manuscript in which the writer has not been able to choose what to leave out. Her answer was to tighten remorselessly, which is always the right answer. But if the natural tendency of hypertext is toward the encyclopedic – Janet Murray’s old conjecture which underpins the premise of the panel – does that not call for a less ascetic approach? I received an angry email this morning from a fellow who was furious because he found Tinderbox unintuitive. When I was doing picosecond photoacoustic spectroscopy, people expected a lot but they didn’t expect it all to be intuitive. We don’t expect Pliny or Catullus or the Friedl-Crafts acylation to be intuitive. If you approached Picasso’s work, or Fourier’s, with your intuition and nothing else, you'd be prone to fall on your face. When I was in high school, I knew folks who though “Aristotelean logic” was pretty challenging, meriting a semester of college study. That’s Boolean queries, and now we take it for granted that everyone knows it (or can, at any rate, fake the chord changes.) Lambda calculus was something shiny they did in seminars at MIT; now, mapcar is called “.each” and, if you need it, you pick it up from a help page or from an example in aTbRef or the Cookbook. It’s not our job to make it easy. It’s our job to make it possible, if we can, or to bring it closer to the realm of possibility than it was before. We’ll maybe find out before too long. I’m taking a look at Blood and Laurels, a versu-based interactive fiction by Em Short. It’s highly regarded. Em Short is a uniquely thoughtful proponent of interactive fiction, and her criticism is a refreshing change from the usual. She’s also a classicist. Unless I’ve blundered in my date conversions, we’re told at the outset that the action occurs in or around 69 A.D., they year of four emperors. But in the first scene we have dinner with a general named Artus, which seems a strange name for a Roman senator of this era. Soon, we learn that the current emperor’s father was the emperor Corretius. OK: we’re early in the year, Nero is still alive, and for some reason we’ve changed the name of his adoptive father, the fellow whom we all know as Claudius. But why this change? Thanks to Robert Graves, lots of people know something about Claudius; the story is thus obfuscating a potentially valuable point of contact. In any case: we’re in some alternate Rome. Alternate history is great. But to what end? Cuius bono? Short’s Rome seems reasonably familiar: there aren’t any unicorns in the streets, we don’t have streetcars or dim sum; so far, the only obvious divergences involve names. Why go to the trouble of using a familiar historical setting if you’re not going to use it? Dropping a protagonist into the middle of FDR’s cabinet, Napoleon’s army, or Caesar’s retinue lets the storyteller borrow someone else’s world-building without situating the story in the fields we know. There’s bound to be some friction, of course: Em Short’s Rome won’t be precisely my Rome, just as Peter Carey’s London isn’t precisely Dickens’, but something should be gained. I’ve met Em Short, but because she's pseudonymous I don’t know her work as a classicist. Whatever her specialization, she’s got to know Rome a hell of a lot better than I do. And she teaches: she’s got to know that this is going to cause confusion for everyone who took high school Latin, not to mention everyone who reads Edward Gibbon or Robert Graves, Robert Harris, or Lindsay Davis. No doubt I’m missing the point, or I’ve adopted a bad strategy, or I haven’t come to the twist, or I’m simply mistaken. No doubt the answer will be revealed in time. This is not a review, but a stake in the ground, planted in hope that, since I must be doing this wrong, someone will tell me how to proceed. Great Readercon panel on education in speculative fiction. The Victorian school story ends with graduation; the contemporary school story ends with the dissolution of the school. 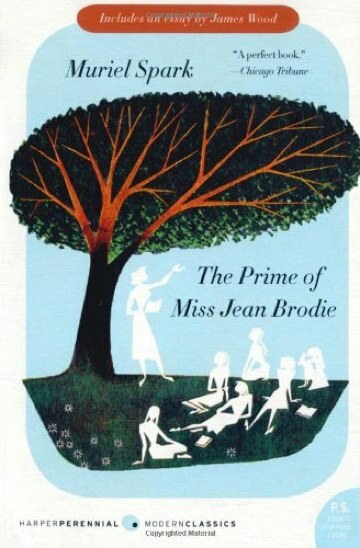 Examples: Harry Potter, Wonder Boys (Chabon), Testimony (Shreve), Prime of Miss Jean Brodie (Spark), Intuition (Goodman), The Magicians (Grossman). I’m looking forward to reading The Magician’s Land (Lev Grossman) just to see how things turn out. Grossman’s first two volumes have already built three marvelous worlds – a college, a girl, and a kingdom – and has destroyed all of them. I enjoyed hearing Claire Cooney and cohorts – the crinoline troubadours – performing SF poetry for set as ballads. A girl with nothing to lose. A girl with so much to lose. Asking librarians to recommend some books is not a substitute for the old, traditional panel on The Year In Books. Too many readercon panelists don’t speak up, but this was ridiculous: clearly, years of whispering at the reference desk has taken its toll. If you’re all coming with lists of good books, print them out or post them. I think I’ve got to stop going to readercon panels on hyperfiction. The panel on “Emotion, Archives, Interactive Fiction, and Linked Data” was good in its way, but the panel description is all about Manovich’s “Database as Symbolic Form” and nobody seemed to have heard of it. I’m not a huge fan of this Manovich essay myself, but we’ve been having this discussion for for two decades now and it would save us all time if we’d all share some common background. I’m not getting much help, alas, on the craft issues that have got me embrangled in the fiction project. But it’s only been one day and the “Books Bought” section at right has just about completely turned over. Lots to read. Day two added a panel on exposition, which I now realize is another fundamental problem for interactive fiction and its kin, and prescribed a variety of solutions. Comments after an (excellent) reading by E. C. Ambrose also helped clarify problems I’ve been having. I’d never gone to a kaffeklatch at Readercon, but highlights this year were sessions with Peter Straub, Michael Dirda, and the estimable Jon Clute who did a wonderful one-hour monologue without pause or stumble. Tinderbox 6.0.2 is now out. The early classics of hypertext fiction were not, for the most part, very interested in storytelling or plot. It was the ’80s and then it was the ’90s, and these were not not the concerns of the moment. Remember as well that anything written for performance on a computer had to cope with the presumption that computers were for philistines and children. I think it would be nice to feel confident that we can write a hypertext page-turner. I believe I know a dozen writers who are sure they could do it, but don’t see why anyone would bother. I believe I know a dozen critics who know it cannot be done. Right at the moment, I do not know anyone – anyone — who is attempting to do it. Besides, I have so much spare time. So: how might we make a hypertext that’s a page-turner? Here are some ground rules to get started. The protagonist is wonderful. And she’s in trouble, because the whole world is in trouble. You want to know how this turns out. You are not the protagonist: we’re not playing games. This is a tricky but critical point; getting it wrong has set the entire field back ten years. Your job is not to rescue the princess, or even to arrange for the princess to be rescued. Your job is to set the scene, to decide whom we will watch and with whom they will talk. If this is Hamlet on the holodeck, it might turn out tonight that it’s the tragedy of a girl who died because the prince she loved teased her mercilessly. It might be the story of how Horatio came to be Chancellor of the University of Copenhagen. There are a million stories in the naked city. We have a large cast of potential characters, and let the reader’s choices guide which become the center of the action.